The gorgeous South Korean actress and Dior Korean spokesperson, Gianna Jeon Ji Hyun (전지현) was photographed by Hong Jang Hyun for the September issue of Vogue Korea. 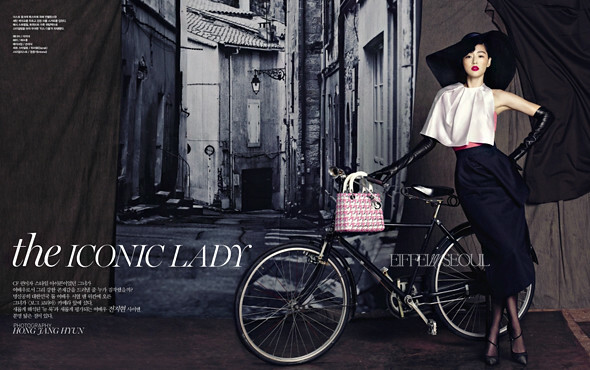 Dressed in Christian Dior collection from head to toe in the editorial, check out some of her interesting expressions. Gianna Jeon Ji Hyun (전지현) will star in upcoming SBS drama, Man from the Stars (별에서 온 남자). No wonder she is Dior chosen! Great modeling, photogenic, & beautiful.